Bear Russian food, whether the time capsule Brighton Beach version or of the flashy Mari Vanna and Onegin persuasion, has never been in my wheelhouse. Of course, I didn’t say no to Queens’ answer to this genre on a chilly night practically crying out for dill martinis and substantial brown bread. The pickles, herring and potato salad, and salvo, described as lardo but much thicker and tougher to bite through, were fine drinking snacks, but portions are little overly precious. A lamb dumpling special (not pictured) that I’m remembering as priced in the high teens came three to a plate, more appropriate for dim sum than an entree. The layer cake, smetannik, was strangely gritty, which I’m now guessing was due to buckwheat, an intentional addition. There’s something off-kilter about the operation, and that may stem from Bear not knowing exactly what it wants to be. It’s a cozy place in a non-prime corner of Astoria that also happens to serve a $175 tasting menu, possibly a Queens record. End of the Century I’m not sold on Forest Hills’ stretch of Metropolitan Avenue being touted as “Michelin Road” (I mean, it is home to the one and only East Coast Sizzler, which has strong Michelin-negating powers). Forest Hills is a very different kind of Queens, though, still on the subway but more suburban and upscale than most of the western half that non-residents associate with the borough. You will see lawn jockeys on the meandering walk from Queens Boulevard and definitely no other pedestrians. Some new bar openings are hyped. Others are not. End of the Century, tiki in mission but still looking a little like the pub that preceded it, has owners with pedigrees including PKNY, Maison Premiere and Dutch Kills, but on my visit its first week open the crowds were not there yet. The drinks like the above Dr. Funk and super gingery, honeyed and multi-rummed Kon-Tiki Mai Tai are crafted with purpose and well-priced at $10 (and may not stay that low indefinitely). 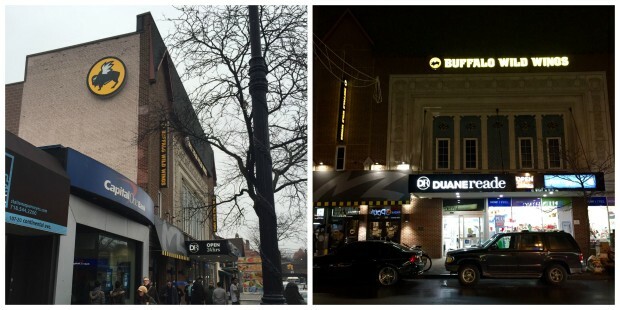 I’m not convinced the concept is in line with the sleepier part of Forest Hills’ needs or expectations. 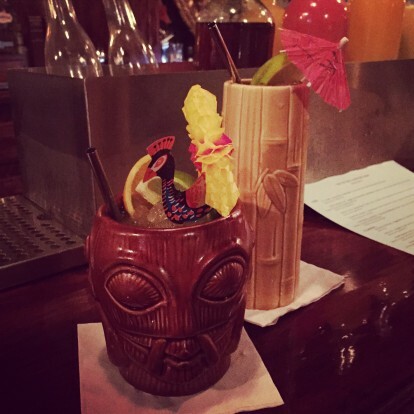 I would be happy to see them succeed, however, especially since I need to try the scorpion bowl, the bar is only one express stop from me, and my neighborhood won’t be seeing any falernum or absinthe-filled atomizers any time soon. For inexplicable reasons that hopefully will become apparent to me soon, I’ve not only walked past Forest Hills’ Buffalo Wild Wings twice in less than a week, I’ve also photographed it. 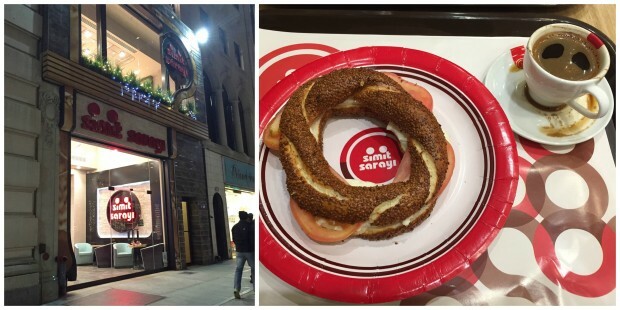 Simit Sarayi is the latest foreign import in Manhattan, by way of Turkey. Simits are more or less sesame bagels with much larger holes, and they are going to be totally hot in 2015. Ok, probably not, but I had to get in one pseudo-end-of-year prediction. Clearly, I will need to sample more than just a cheese and tomato filled version to fully assess the situation. As far as authenticity, all I had to go on was the staff and clientele, who with the exception of my first and maybe my last (I say defeated-ly, not optimistically) Tinder date, appeared to be Turkish. Good riddance, 2014. Sure, we have Turkish food in NYC, but it’s not as ingrained in our culture as in Berlin. I wouldn't call it a top of mind cuisine. And while our love of gyros matches a German fondness for doner kebabs, our geographically generic shaved meat in a pita isn’t particularly Turkish or Greek or…whatever it's supposed to be. Cafeteria-style Mercan, in Kreuzberg, is as good as any place to get acquainted with homey Turkish cooking. For only 6 euros, you can pick an entree (in the American sense–we're the only weirdos who use the term to mean the main dish, not a starter) from the handful of giant metal pans behind glass at the counter, choose rice or bulger, and salad or dessert. Nothing is labeled—the only written indications are in German on the chalkboards out front–but it's likely that one of the cooks will be able to speak enough English to explain the basics. You may find a thick ground lamb and eggplant dish slicked with mildly spicy oil (perfect for dipping the fluffy focaccia-like bread), the abergin musakka. I've always wondered why countries like England and Germany use French words for so many food items, or are we the weirdos again with our eggplants and zucchinis? When a server at speakeasy, Beckett's Kopf, described a cocktail to me using the term "pamplemousse," I remarked, "oh, grapefruit," and he got all flustered like I was correcting him (I was not). I'm still trying to figure out the German temperament. Or you can have Lamm nacken a.k.a. lamb shank stewed with potatoes. There are plenty of non-lamb options, by the way. Rice is fortified with meaty white beans. I think they refer to this style with slivered nuts and cooked in broth as pilaf. The chopped cucumber, tomato, and onion salad was a little bland even with the sliced chiles and a squeeze of lemon. It wasn’t until after I finished eating that I noticed other diners making a dressing with the oil and vinegar on the table. Of course. I'm not used to d.i.y. dressing, though it seems commonplace in other countries–Spain and Argentina, off the top of my head. 1/2 The “We don’t have any tables this evening unless you made reservations” spiel I was given at 6:30pm the Saturday before Tanoreen was reviewed in the New York Times, kind of threw me. Ok, bye. 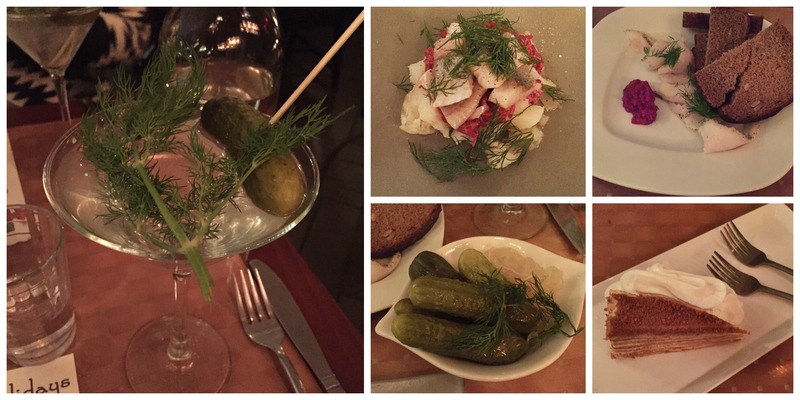 I wasn’t going to be Minetta Taverned in Bay Ridge. As much as Sripraphai, too, has grown to attract diners beyond the immediate neighborhood (also to the point of impenetrability on weekend nights) I like that they’ve maintained a first come first served policy and are unlikely to start offering valet parking. But I wanted a bunch of mezzes still. We’d parked in front of Sally & George’s, but I didn’t know if they were going to cut it or not. Maybe I am missing out, I just wasn’t taking any more chances that evening. Off to Coney Island Avenue, home of Sahara and the most unlikely billboard advertising campaign that actually worked on me. This is really the domain of Previously on Sahara, but before I had any inkling that I would be living on the corner of Fourth Place and Henry Street, I used to drive past a giant Sahara ad along the BQE, just a block south from where I now reside. From a distance the meat on a spit (poorly photographed plastic rendition on the façade of the restaurant pictured) looked like an ice cream sundae, at closer range, a meat sundae (just yesterday I read about the existence of a barbecue sundae—nothing to do with Middle Eastern food yet intriguing, right?). 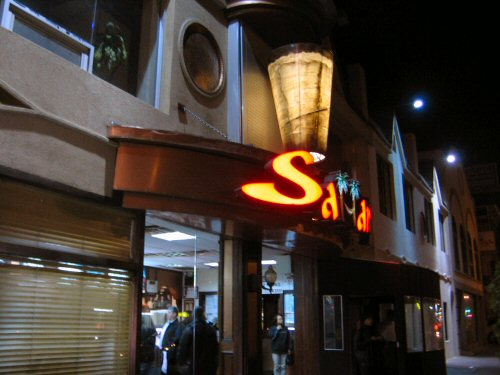 After countless billboard drive-bys, I eventually had to see what Sahara was all about for myself. But really, my favorite things at Sahara have nothing to do with meat. The small cold appetizer platter (there is a selection of warm items, too, but I was trying to avoid an abundance of fried food) a.k.a. karisik meze tabagri is only $9.50 and contains hummus, baba ghanoush, eggplant spread, potato salad, fried eggplant, lebne (garlic yogurt and walnuts), tabule and a stuffed grape leaf. All their English spellings. Paired with the warm rounds of Turkish bread, it could easily be a standalone meal. Even shared, it’s substantial. I also ordered one of the many lamb plus rice dishes, the beyti kebab, lightly spiced ground meat mixed with parsley and onion. There are seven other ways to enjoy lamb on the menu, as well as a page devoted to chicken and another to seafood. It has never occurred to me to try a whole sea bream or sword fish kebabs. Leaving with leftovers, too full for dessert, I did stop by the front takeout counter and picked out two pieces of baklava to go. They didn’t even charge me. Really? Service is not what big and bustling Sahara is known for, so this small gesture stood out. I couldn’t picture a circumstance where Tanoreen would offer me pastries on the house. I would have no idea what Sahara even was if it weren’t for the giant billboard ad that used to be stationed a block from my apartment. It’s not a destination restaurant, the service is nearly non-existent (though I do like the water pitcher on every table—I’d rather help myself than be at the mercy of fickle waiters) but the food is fairly good. I would get take out from the bustling front counter all the time if it were in my neighborhood. Wedged amongst the middle-aged Jewish families, large Arabic parties, petite tracksuited women with abnormally large breasts, and young Brooklyn girls (we were sandwiched by two groups of them who kept shooting the other table dirty looks) who share salads and dips and shun the bread, I felt conspicuous snapping photos. Please excuse the blur. On this visit, we kept it simple with a shared fried eggplant dish from the cold side of the appetizer list. One of Sahara’s selling points is their freshly baked Turkish bread that I think is called pide (sounds like pita, but is nothing like the thin pockets most people are familiar with). 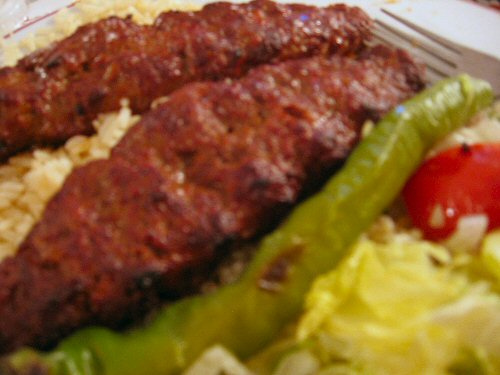 I also had the adana kebab (it’s really hard for me to not say Adama. Wow, I just made a totally unnecessary Battlestar Galactica reference, which is why this is called Project Me rather than Very Informative Restaurant Critiques) which is lightly spiced ground lamb that’s been formed around skewers like logs, then grilled. Most entrees come with rice, herby onions and a char grilled tomato and surprisingly hot long green pepper. Everyone seems to order the feta-laced salad. We didn’t but will likely give in on our next Sahara excursion. 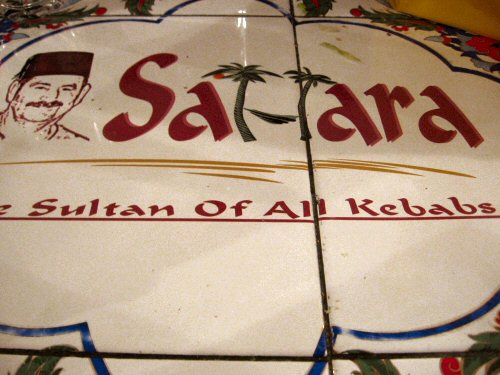 I love how the “Sultan of all Kebabs” has his fez-topped mug plastered everywhere including the tiles on every tabletop. The next evening I caught Head-On on cable, a film about two suicidal Turks living in Germany. (On the edible angle, they do mention kebabs and raki.) I had wanted to see this when it came out a couple years ago but it had a limited run and last year when I remembered it at Blockbuster, someone had already rented it. Despite all the foulness and initially unlikable characters, it’s really about love, sad love. I saw two movies Saturday where a mismatched couple vows to meet and run away together and one member chickens out. That’s always bothered me. But then, I guess these films wouldn’t be alluringly tragic if people found happiness running off on buses and trains for something unknown and potentially better. Raw poultry in a Turkish restaurant? I'm totally an avian flu case waiting to happen. Ok, it's not all that Turkish (manchego-stuffed pequillo peppers and tuna tartar with roasted beet vanilla vinaigrette?) but one of my chicken kabobs was pink and translucent in the center, and due to the moody lighting I know I ate more than a few nibbles before noticing the accidental sashimi. I really don't understand the fairly recent Williamsburg propensity towards clubby theme park dining. My Moon had already given me pause based on its unnecessary sprawl and awkward atmosphere. They have a huge useless-in-winter front patio, lots of exposed brick, cavernous ceilings, generous space between tables and big colorful art all over the walls, which gives the impression of a Cincinnati, Portland, Tucson…I don't know, some mid-sized city in 1996, trying to emulate NYC. Instead of pizzazz it simply evokes suburban and middle aged. I might've reserved my judgment if it wasn't for the frightening free jazz combo fronted by a scatting songstress. They had inexplicably mesmerized a good proportion of the patrons that included plenty of youngsters in addition to the middle aged couples (straight and lesbian) and giant non-white men in XXL leather jackets that seemed out of place not guarding someone's velvet rope. I hadn't heard music like that since I paid a visit to the 70th story lounge at the Swissotel in Singapore this past summer. So, all I ate was a very garlicky rice pilaf with a yogurt sauce and a few chicken cubes, and if it weren't for the underdone chunk, I would've described the food as acceptable if not overpriced by a dollar or two (kebabs were $13). Though I suppose you're paying for the ambience, which I would've gladly given up for a cheaper fully cooked combo plate from Waterfalls. area it automatically becomes a Ba Xuyen banh mi occasion. like a chopped lamb burger hidden in an enormous bun. Brisk, and the waitress unnerved us with her pacing and hovering. posed little problem, however. The place was empty. Absolutely patronless. empty restaurant is even more unnerving. it's the same owners, so I thought I'd give it a try. * Swiftly gone and probably already forgotten. Now it's Zipe Zape.